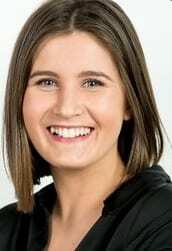 Jordan Williams, Executive Director of the New Zealand Taxpayers’ Union, has issued a press release and penned an article to correct false and misleading reporting by Fairfax journalist, Madison Reidy, that gave the impression that the Taxpayers’ Union had an anti-Israel agenda. According to Williams’ statement, Fairfax twisted his words to incorrectly suggest that the Taxpayers’ Union objected to New Zealand signing an innovation deal with Israel, “whose military is in violent conflict with Palestine”. Fairfax has not written an apology or issued a correction. Readers who are not aware of the correction made by Mr Williams will be left with the incorrect impression that the New Zealand Taxpayers’ Union has an anti-Israel bias, when in fact the ownership and authorship of that narrative sits with Fairfax and/or its journalist or editors.